There’s a potential “cometary graveyard” of inactive comets in our solar system wandering between Mars and Jupiter, a new Colombian research paper says. This contradicts a long-standing view that comets originate on the fringes of the solar system, in the Oort Cloud. Mysteriously, however, 12 active comets have been seen in and around the asteroid belt. The astronomers theorize there must be a number of inactive comets in this region that flare up when a stray gravitational force from Jupiter nudges the comets so that they receive more energy from the Sun. “Imagine all these asteroids going around the Sun for aeons, with no hint of activity,” stated Ignacio Ferrín, who led the research and is a part of the University of Antioquia in Colombia. The team believes this zone was far more active millions of years ago, but as the population got older they got more quiet. “Twelve of those rocks are true comets that were rejuvenated after their minimum distance from the Sun was reduced a little,” the researchers stated. Check out more details of the research in the Monthly Notices of the Royal Astronomical Society. There is also a preprinted version available on Arxiv. Are the scientist ever embarrassed by their constant need to distract the public from truth, like called a smashed to pieces planet of the past a dormant comet field? The only reason this gets pulled of by loser mason zionist is no one is doing their own research anymore. SO most have nothing and accept this crap on a stick from the shill uniformist segment of science. Crazy religion that is. So give us your best EVIDENCE to your claim. Woah, there big fella …. verbal diarrhoea in conjunction with brain being in neutral doesn’t make for happy reading. Perhaps they could be used as a source for new water for Mars terraforming. Just a little nudge at the right time…. C’mon folks. Ignoring such posts is the only option. Reason or admontion does not work, Ever. It only encourages the idiots. There are minerals as well as rocks and water that can be used in terraforming Mars Daniel great idea. 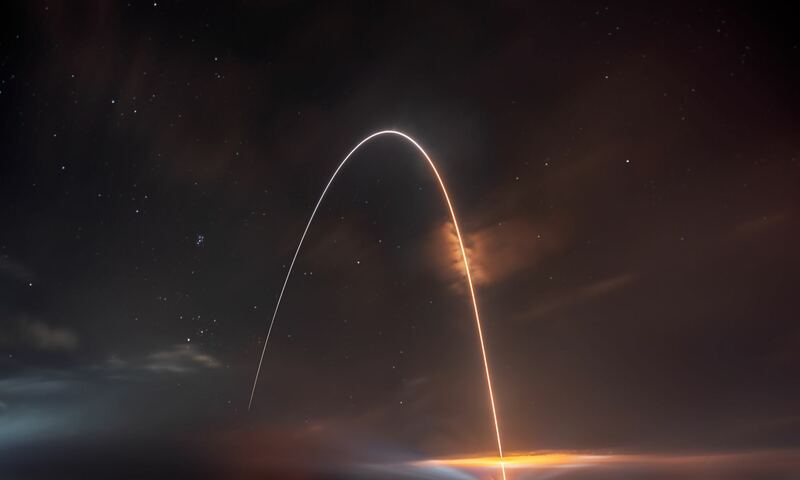 First crewed Mars flight enters orbit… The ship swings far outward from Mars while firing it’s main engines, the rocket slowing into a highly elliptical preliminary orbit. Reaching the apogee during the second orbit a very dark cometary body suddenly ends the mission. Short and to the point, and it might knock it into Mars’ orbit to boot. LOL! Hailing from alternate worldview, I find this this news interesting to peruse. The Oort Cloud * has its vaporous support, if I understand, on the reigning paradigm of star-world formation, enveloped in Nebular Hypothesis: condensed from, and/or swept-out in wake of star-worlds’ dusty creation frame, enclosing, distant spherical shell (leftover construction material) of icy bodies settled to remain(?). With this unexpected perturbation, on origin of deep roving Comets, if reconsideration heats up to light – the history of our Solar System, could reveal new insight. As seen elsewhere, modeled beliefs so rigidly held, will face challenges to surmount, or by new evidence, be inexorably felled. Entrenched concepts coloring many a view, may change for a few, to potentially recast cosmogony models, commonly held so true. ~ In this case, reconsider the origin of Comet visitors from afar (back to supposed Oort Cloud traced). Is it remotely possible, that they actually originated much closer to planet-orbiting space? A whole different scenario, that unsettling possibility could entail. A revolution in thinking to alight. But heavy enclosing Theory, cemented, would never allow wings of flight. ~ As in mechanisms of hydrology, have asteroids-comets been “weathered down”, as material from larger parent masses – broken-up mountains: icy moons no more, and/or planet surfaces disrupted long afore – chunks of world’s hurled out? Through interplay of time, and river-like debris sorting-process (sprayed forth from some impacting upheaval), by various means, distributed: Swarms swept over here, ground-up material “embanked” over there, from gravity interactions ebb and flow? A natural ordering of rubble (of “unborn planets”, believed); the sorting process of time, through a System’s complex tidal motions? Material separation by swirling flows, deposited “down stream”, along banks, by effect of waves? One family-group of fragments, of long-term orbits, calved like icebergs dotting space beyond ice shelves (not from outer ocean arrived, but from inner lands of ice and snow derived)? Like remnant fallout hail, rained out from a forgotten storm? Unsurprising, Comets may lie dormant in den of Asteroids’ lair: the undead, hidden in a cemetery of stony to lurk. IF from planet-moon bodies they sprang, then with rubble flow strewn-out, these gaseous apparitions of misty veil did fly, passing Comets of the night, fair lanterns of the sky. (No equation-formulations to support; mathematical calculations to convince.) If so, discovery of intermingled population seems natural: like pebbles alongside rocks, rocks strewn about boulders, all scattered down stream, but into densities massed, gravity separated into debris class, and deposited together along a “river’s course”. Did stone and metal asteroids – stripped from crustal surface(s), disrupted interior mantel(s), and fractured central core(s)? – originate from the cold darkness of Solar frontier, as unseen phantoms haunting a frosty “graveyard”, on dark fringe of twilight? Or, were they violently born from some great shattering event, within the inner domain of warm sunlight? “pulled of[f?] by loser mason zionist”? “mason[?] zionist”? What does anyone now, or those past – as a result of anti-antisemitism – sought to establish a Jewish nation in Israel’s ancestral homeland, or “concerned with the support and development” of the State of Israel, have to do with subject of this article? Previous PostPrevious How Many People Have Walked on the Moon?